A good text editor is a must-have on any computer if you are a web developer or a writer. Having a text editor is ideal for writing down quick notes, managing code and to simply use it as a distraction free writing tool. Some of the well known text editors include Sublime Text, Notepad++, Atom, Vim, Brackets etc. According to various research and statistics, it has come in to light that Sublime Text stands out from the rest. We have described some of these text editors in detail and we will also look into why Sublime Text is the most sought after editor. A text editor suitable for the 21st century, Atom has gained praise for being a text editor that has being designed for the new generation developer. Introduced by the team at GitHub, Atom is flexible, themeable, customizable and slightly new. The text editor boasts of a large following while there are various plugins due to its open API. A desktop application, Atom consists of its own icon in the dock, full access to the file system along with native menus and dialogs. The editor is composed of over 50 open-source packages that amalgamate around a minimal core. Been around for a long time Notepad++ has made its name by its upgrades from Wordpad and / or Notepad. Still going through various development processes, it combines the before mentioned interfaces with a number of advanced features that will surely make code writers and developers happy. 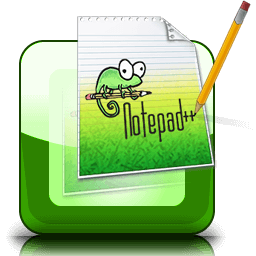 Notepad++ is free and is available for Windows only while it is an installable app as well as a portable app that can run from a cloud storage service or even a flash drive. Notepad++ is also ideal for developers and writers who are not yet familiar with code editors since its easy and free to use. The above were some of the most frequently and best used text editors that most developers make use of. However, our argument as to why Sublime Text stands out has to be explained. So, therefore, lets check out why this particular text editor shines more than its opponents. Feature packed and cross-platform, Sublime Text is known as the most sophisticated text editor for code, prose and markup. Taking the limelight from the rest of the code editors, Sublime Text comprises of an amazing feature set enabling you to make full use of your expertise. Remarkably powerful, Sublime Text has always been developer friendly. So, lets check out the features. Goto Anything – You can use Goto Anything to open files with a few keystrokes and then instantly jump to symbols, words or lines. Command Palette – This feature holds occasionally used functions such as changing syntax, sorting and changing indentation settings. It takes only a few keystrokes to search for what you want without navigating through menus. Multiple Selections – There is the convenience of making ten changes at one time. This feature of multiple selections allows the developer to interactively change a number of lines at once, manipulate files faster and also rename variables. Split Editing – This feature allows you to make the best out of your wide screen monitors. Developers and writers are able to edit two locations in one file, edit files side by side and also edit many rows and columns as you want. You can clearly make use of multiple monitors by editing in multiple windows. Plugin API – Sublime Text consists of a powerful Python based plugin API while it also consists of a built in Python console so that developers can experiment in real time. Cross Platform – Available in Windows, Linux and OS X, users will require only one licence to use Sublime Text on any computer that you own no matter the operating system. Instant Project Switch – When you are writing code on Sublime Text the project captures the full content of the workspace which also includes unsaved or modified files. You can also switch between projects while modifications will be restored when the project is opened again. Distraction Free Mode – This feature simply means that it is a full screen, chrome free editor with nothing but the text on your screen. You can show tabs and the find panel only when you need them. 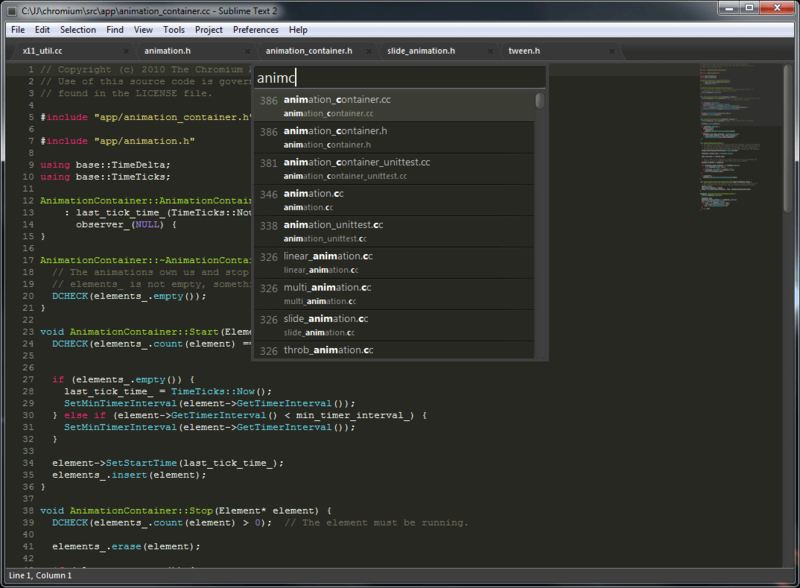 Customize Anything – From menus to macros and completions, anything is customizable in Sublime Text. The editor’s settings can be specified on a per-file type or a per-project basis. We hope the above was a reasonable argument. Share your thoughts with us!